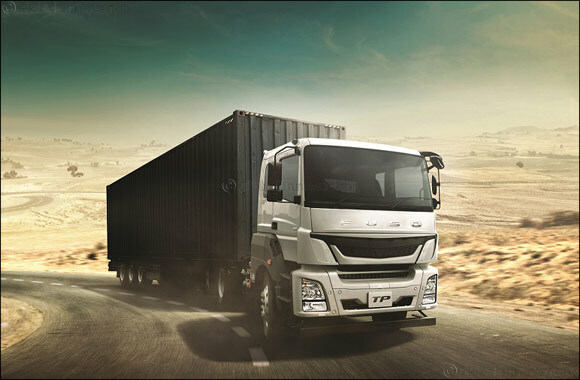 Dubai, UAE, June 4, 2017: Al Habtoor Motors Saudi Arabia is proud to announce its first anniversary in Saudi Arabia selling Daimler-Fuso trucks. To kick off its anniversary celebration, the company will launch a number of promotional campaigns for its customers & resellers. Furthermore, the company plans to host Kingdom wide promotional events to celebrate this milestone. The early success of Habtoor Motors in Saudi Arabia indicates a growing demand for reduced truck operating costs through quick and efficient service and highest possible standards of repair. “We are amazed by the support and response we have received from our Saudi Team and our customers during this year. Our success is due to the commitment and hard work of our team plus our international standards of customer care, competitive pricing and professionally trained technicians” states Country Head, Simon Monahan. Al Habtoor has further expanded its Habtoor Technical Support 247 program by increasing its fleet of dedicated mobile service vans. These vans service and repair FUSO trucks at the customer’s premises and cover the entire country. This investment shows our dedication to reducing operating costs through quick and efficient service and repair. Al Habtoor’s continual upgrading of existing service and repair services reflects the company’s ongoing commitment to delivering maximum up time and more profit for its customers. Al Habtoor Motors promises a one stop solution for all truck operators, including body fabrication, routine maintenance and truck accident repair giving the lowest possible vehicle operating costs across the Kingdom.